And Madrid did it again! 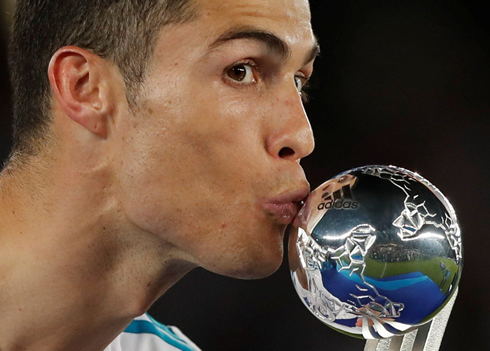 After winning two consecutive Champions League trophies, the Merengues now won their second FIFA Club World Cup title, following this Saturday's 1-0 win over Gremio, thanks to a free-kick goal by Cristiano Ronaldo. 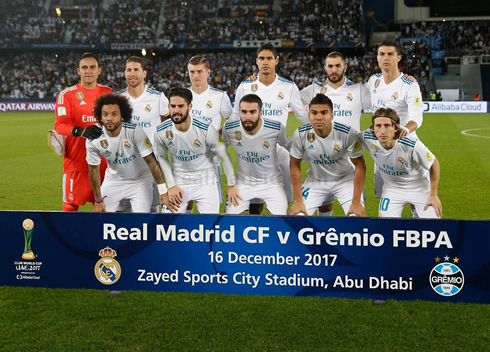 Real Madrid travelled to Abu Dhabi to face Gremio in the FIFA Club World Cup Final this Saturday afternoon and the Merengues made sure they wouldn't come back trophyless from such a long trip. Cristiano Ronaldo delivered the decisive blow to the Brazilian side in a 1-0 win, scoring the only goal in this game from a long-range free kick in the beginning of the second half. 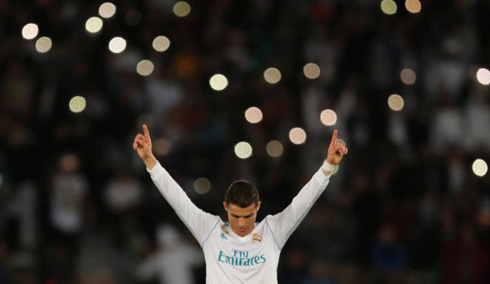 The Portuguese forward, who scored in both the semis and the final of this tournament, is now the all-time goalscorer in the FIFA Club World Cup records with 7 goals, leaving Barcelona's Lionel Messi and Luis Suárez behind him with 5 goals each. We've done it again and the sextuple is still on. Madrid put in a solid performance against South American champions Gremio de Porto Alegre tonight, to secure the FIFA World Club Cup Championship for a second consecutive year. In the end, the score was only 1-0, but Madrid had multiple chances to put the result beyond doubt and probably should have been a bit more clinical. Yet, they dominated at times and it's a trophy to cap off what's been a brilliant year for the club, despite the current struggles we've seen in the league. That's now 12 straight international final victories for the club, with their last loss coming against Boca Juniors back in 2000. The man of the match was undoubtedly Luka Modric, who looked unbeatable today in the center of the park. He pivoted, juked, and shimmied his way through the Gremio midfield and was a massive threat throughout. Whether it was at the back or in attack, Modric was excellent and it's a shame he hit the post with his second-half effort, as he certainly deserved a goal. Modric would win the golden ball in the end, an award he surely earned after his magnificent performance this tournament. Isco started and he moved the ball quite well throughout the match, often opting for a ball into space over a cross or a dribble. Still, there will be a hot debate over what happens in El Clasico against Barcelona on December 23. Benzema was again a bit unlucky today. As for Gareth Bale, he came on late and provided some good minutes as he works his way back into fitness. It will be a real conundrum for Zidane, but I would guess that Bale will start from the bench for the match vs Barcelona. Real Madrid will now go into the El Clasico as World Champions for the second year running. Hala Madrid y Nada Mas! Cristiano Ronaldo next game for Real Madrid is on December 23 of 2017 against Barcelona. You can watch Juventus live stream, Real Madrid vs Barcelona, Barcelona vs Deportivo, WBA vs Manchester United, Bournemouth vs Liverpool, and Bayern Munich vs Borussia Dortmund, all matches provided from our live football game pages.